When I think of summer I think of reading a book on a beach, the sound of surf in my ears and a fruity drink in my hand. Unfortunately I don’t live at the beach, nor am I going on vacation to one. At least this year! I will, however, be cracking open a book or fourteen this summer outside and in, finding a quiet getaway from my family for a few hours lost in a book. I relish those moments when I can fall in love, solve a mystery, or save a world, even if I am just doing it vicariously. 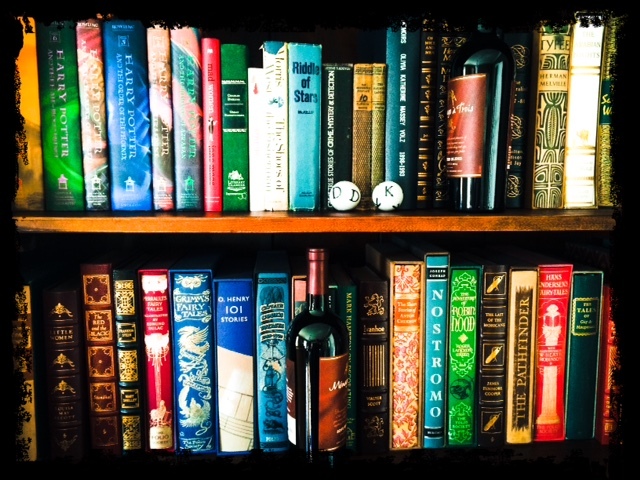 Sometimes when I’m sitting in my armchair or outside on my front porch I dream of having my own private girly reading getaway. Images flash through my mind of various possibilities. 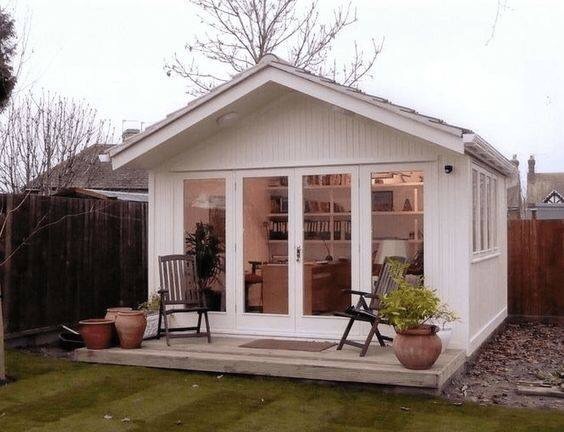 If I had endless amounts of money, I would build my own cottage in the backyard where I could read and write privately for hours at a time. Unfortunately, I don’t have those gobs of money to create a getaway that is quite so expansive. But, I could create some that are a lot less expensive. 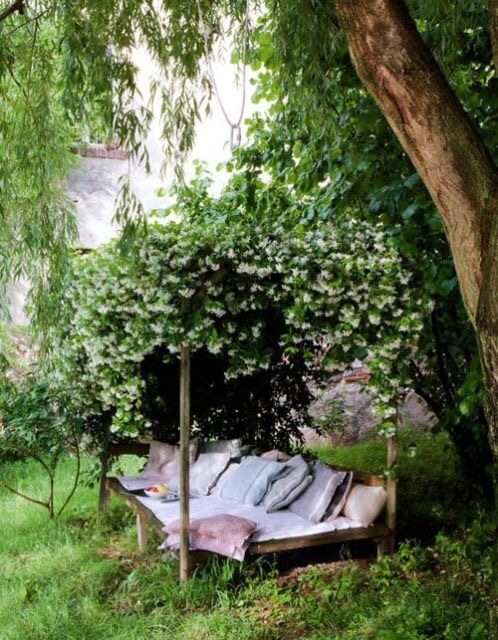 A secluded daybed bower with an extreme mountain of pillows looks very comfortable! Or this little covered bench in the rose garden. 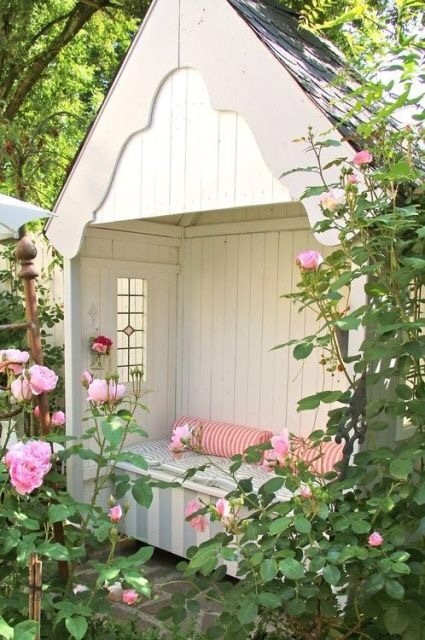 I (ok, my husband…) could probably build the bench, but I don’t have a rose garden. Sigh. 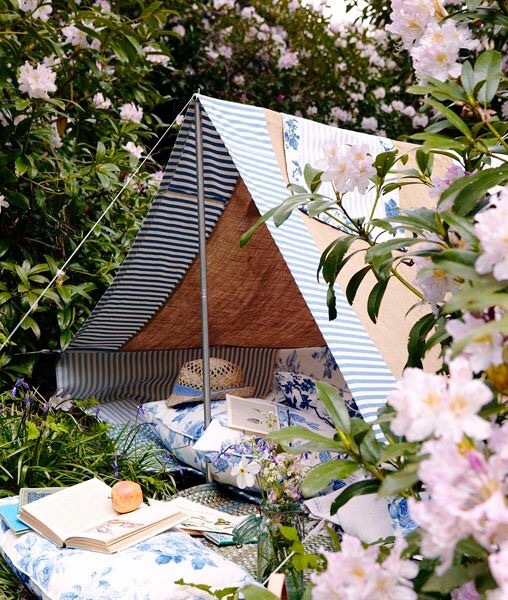 A tent is a perfect idea! 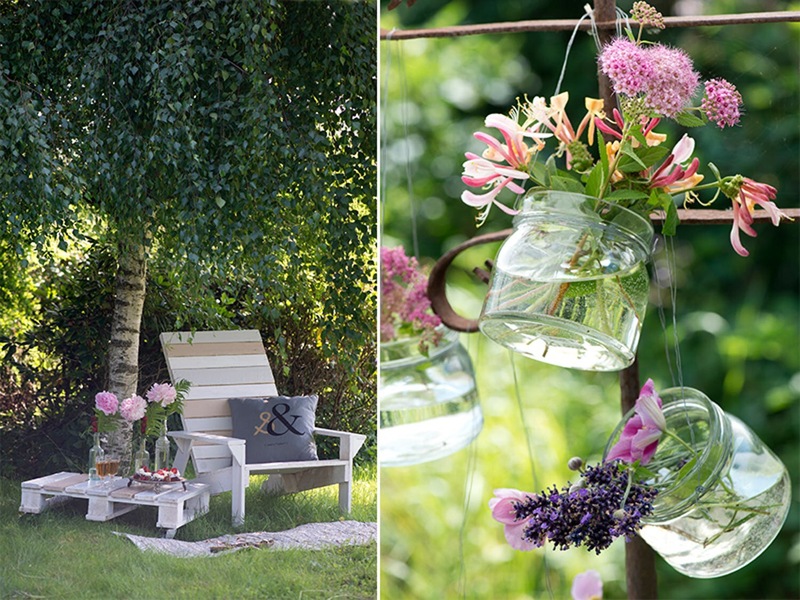 Set one up in the backyard with a load of pillows and a big pitcher of iced tea. Doable! Although I’d need to buy a tent as I’m not much of a camper. I’ve got the pillows though! Lol. 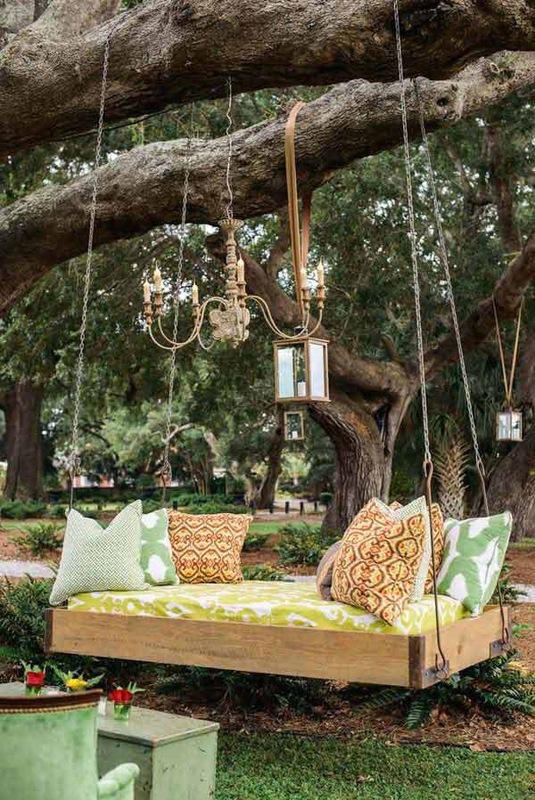 I love this swinging bed! Especially the chandelier and light hanging over the structure. This could easily be built! However, I lack a tree with a limb to hang the bed from. Looks comfy though! The picture on the left is a no brainer. Any of us can buy an Adirondack chair and paint it a soothing color! We are getting closer to my budget! Ah, who am I kidding. As long as the weather is nice I have a perfectly nice front porch to read my book! 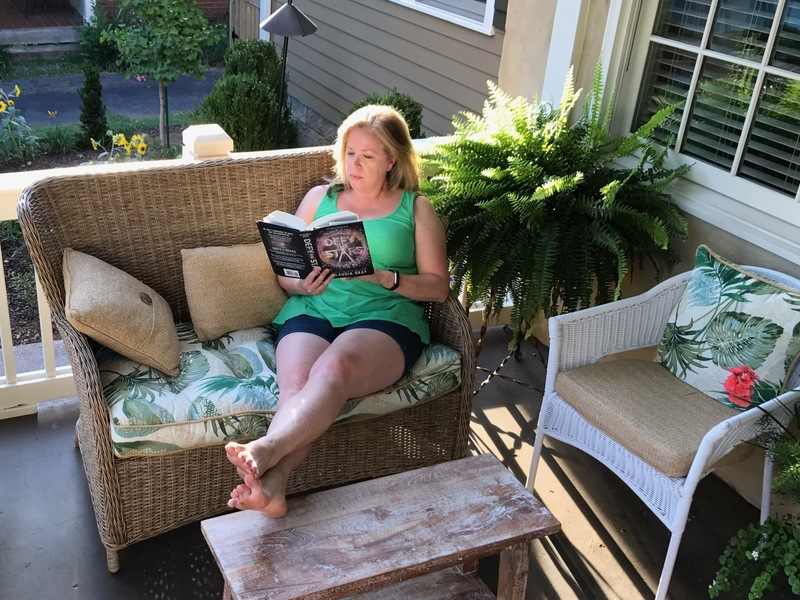 Where is your favorite place to read your book? Inside? Outside? I’d love to hear about your reading nook.